The Compass was designed with the intention of getting you to and from where you need to be with as little effort as possible. Flow effortlessly through the streets and paths with our lightest commuter style bike. Get where your going and have a great time getting there. Let the compass guide you. The Compass Trail is your do all bike. It is there for you whenever you need it. Whether you are on the pavement or on the trails, this bike possesses the best traits of a mountain bike and a road bike. Let the suspension kick in on the bumpy rides you'll be able to endure wherever you choose to ride this performance hybrid. You're ready to start carving your mark into the dirt, wood, and rock. Everything is still new, but you're discovering more about the wonders of mountain biking everyday you hit the trail. Amazing climbing features like the 29 inch wheel set are going to help you elevate your riding level while mechanical disc brakes are going to keep you safe on the way downhill. The Conquer 1 was designed with the features a beginner mountain biker like you needs to shred in the most affordable way possible. You're moving up in the world! Up the hill that is! This mid-range mountain hardtail is lighter, stronger, faster, and more reliable for the rider looking to start testing their limits. Hydraulic disc brakes and suspension lock out are helping you up and down the mountain. You're getting better and you need a machine that is going to be able to keep up with your newfound skills! We present, to you, the Conquer 2. The Vendetta Series has been crucial element of the Legacy family that was missing. A sleek aero dynamic frame design was a must have in the culmination of the Vendetta, acompanied with a perfect entry level groupset and aluminium wheels. The 105 Vendetta is the perfect entry level road bike. The Junior series is designed for the younger boys. They're between the ages of 4 and 12. They love riding their bike and who wouldn't? especially when you're riding one of the sweetest little rides on the block. 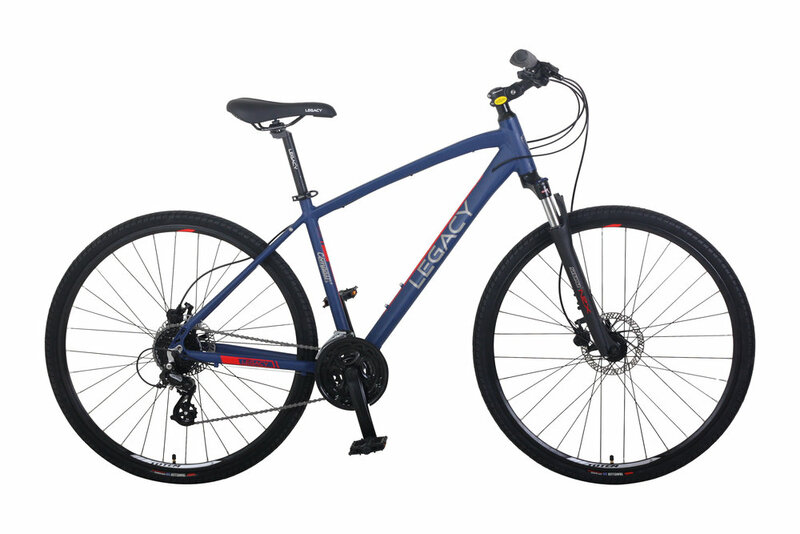 Available in 16", 20", and 24", the bikes are all lightweight and easy to use. Boys will be boys and these bikes can handle the nature of their ride.